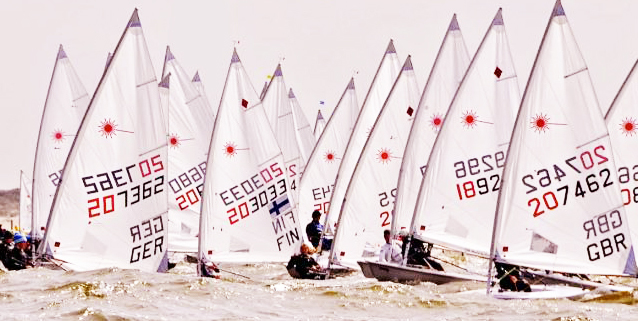 Round 2 of the Laser Masters European Circuit (age 35 up) began yesterday in Belgium with moderate winds and a strong current. Two races were completed. Finishing on the ranks 1 and 3, Wilmar Groenendijk NED has taken the lead in the Lasers Radial 2 points ahead of Max Hunt GBR. Alexandra Weihrauch GER on the 4th place is the best-ranked woman. 25 participants from 8 nations. In the Lasers Standard, Rik Wolters NED is on the first place one point in front of Piet Van Damme BEL. Another point behind is Thomas Müller GER on 3rd. 29 participants from 6 nations.